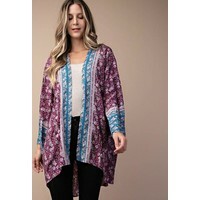 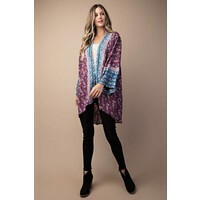 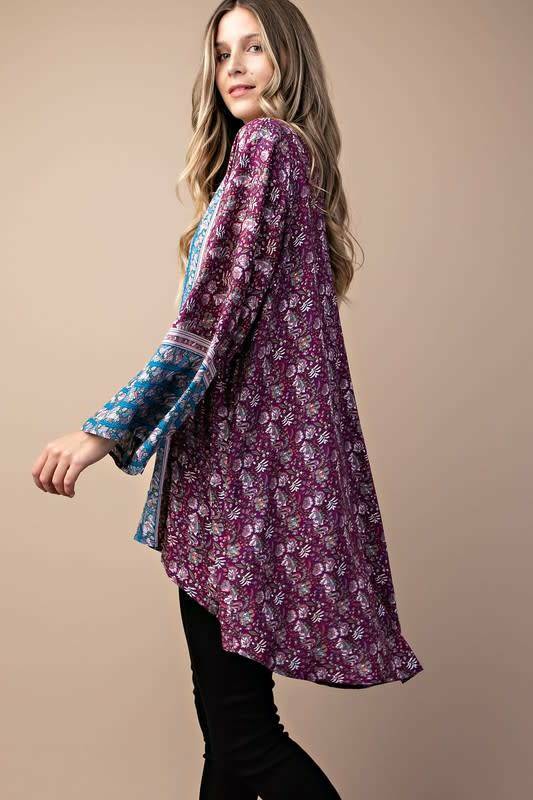 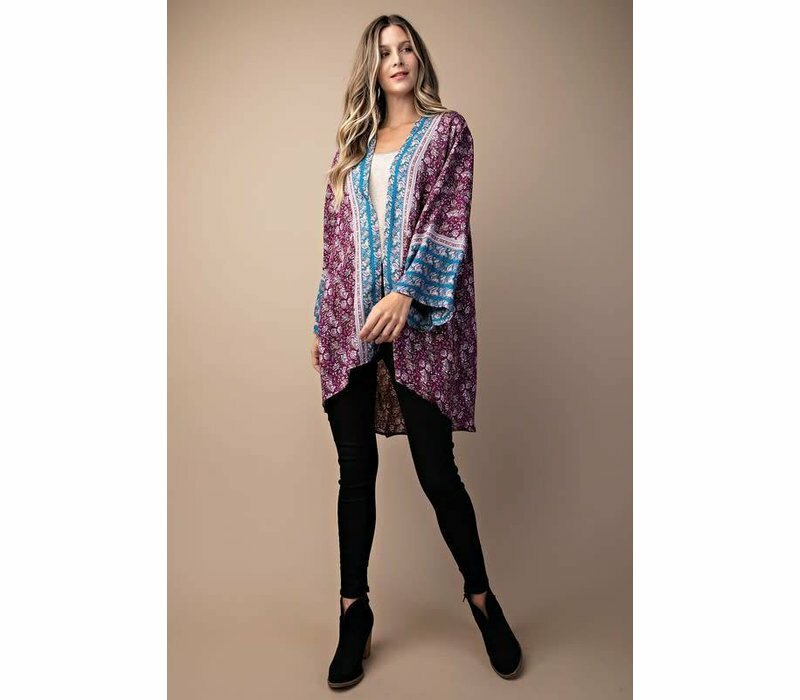 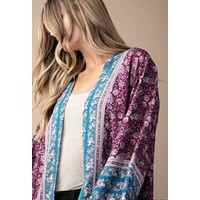 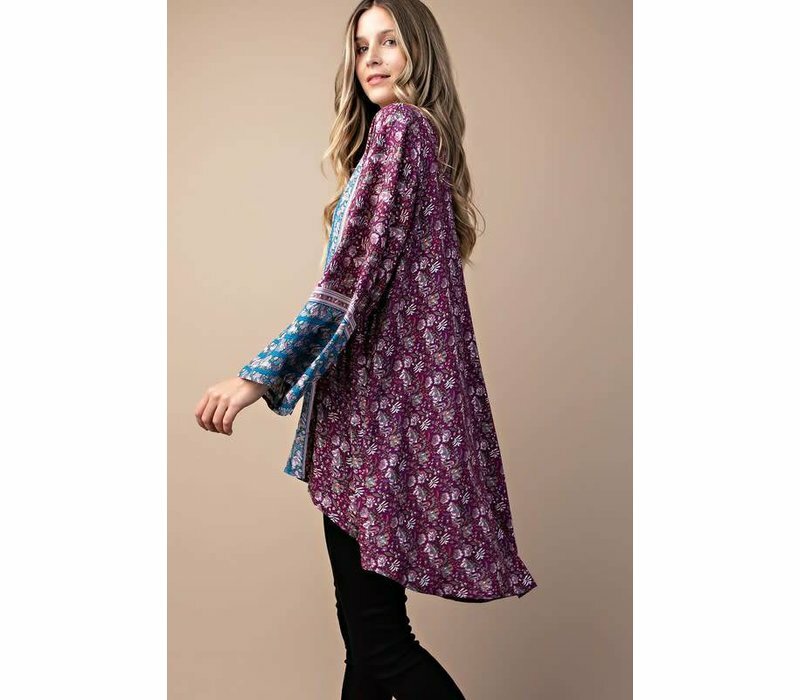 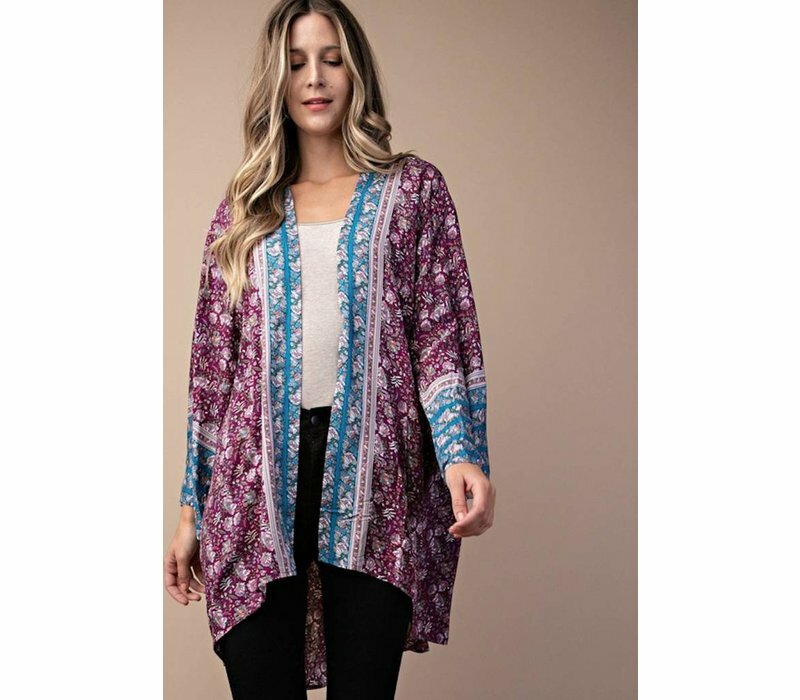 One of our favorite boho prints, now available in a kimono! 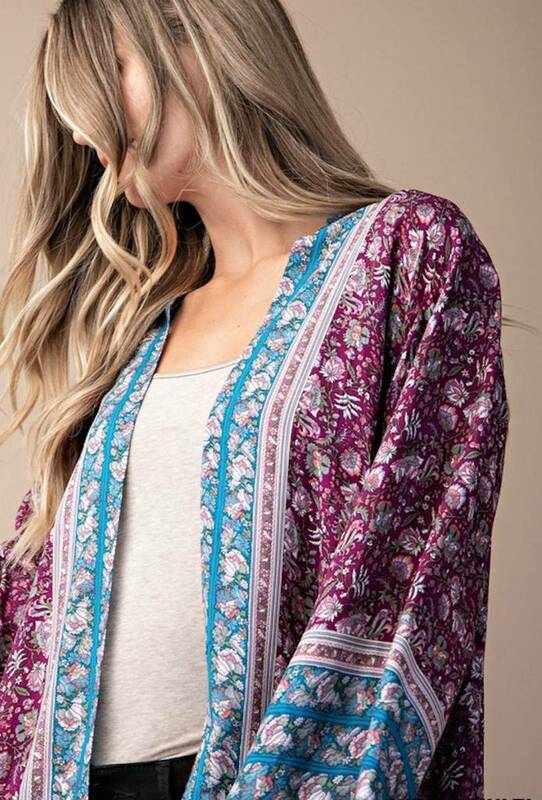 Fit is loose, free & flowy. 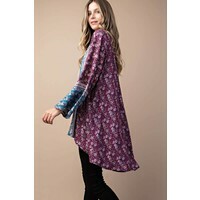 Deep orchid purple & turquoise blue, floral & vine print. 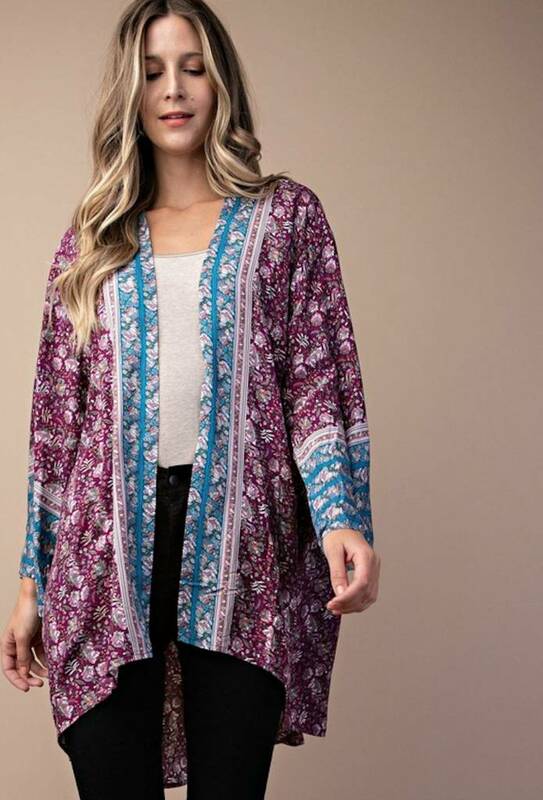 Runs a little big, we suggest sizing down.